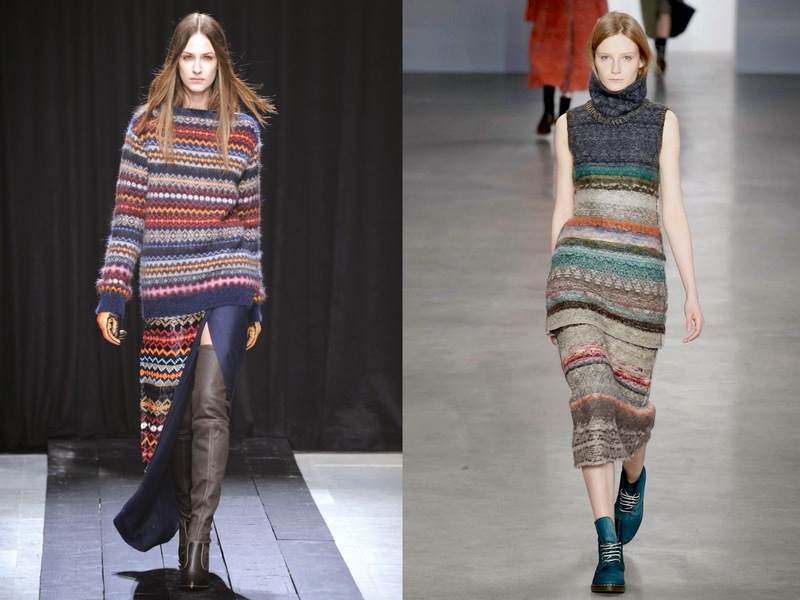 Knitwear ensembles are really a thing in the upcoming winter fashion season, embracing strongly the idea of warmth and comfort. 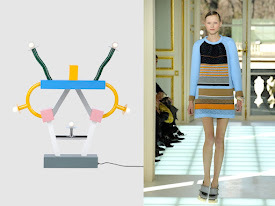 A knitwear trend that has appeared on the catwalks for FW 2014||15 is the striped intarsia top-skirt combo. 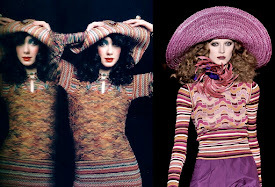 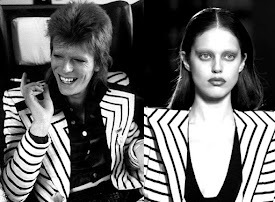 Veronique Branquinho got inspired by Scotland and its rich heritage of Fair Isle patterns [left], while Calvin Klein's super crafty Fair Isle knit turtleneck outfit looked like they came straight off a loom [right]. It can't get any cozier I guess.